Motivated Sellers! 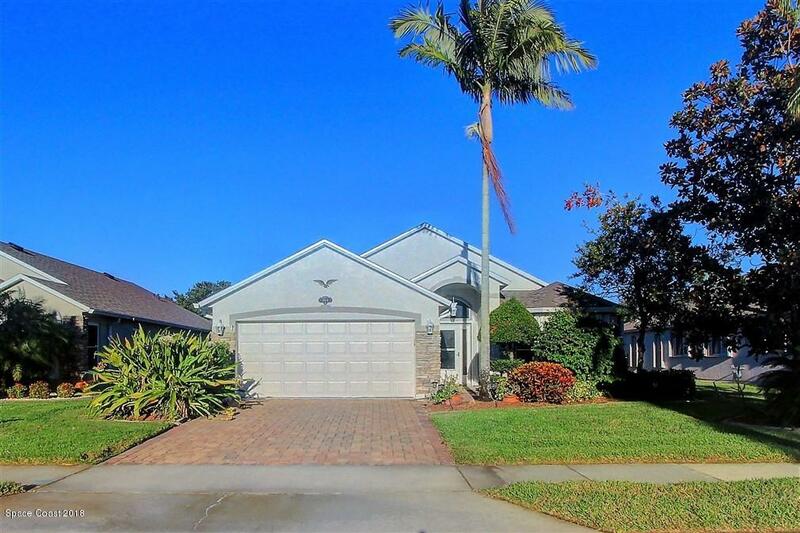 Beautiful 3/2/2 Home In The Highly Sought-after 55+ Community, Grand Isle. New Roof! Fresh Paint Inside And New Gutters. Home Is Nicely Landscaped With A Large Under-truss, Tile Enclosed Patio. The Spacious Kitchen Offers Granite Counter Tops, Plenty Of Cabinet Space, White Cabinets, Newer Appliances And A Large Breakfast Nook With A Beautiful Bay Window. Plantation Shutters Throughout. Upgraded Hardwood Flooring In Master And Guest Bedroom And Tile Throughout The Rest Of The House. All Appliances Plus Washer And Dryer Included! Garage Includes Storage Cabinets And Sink. Storm Shutters. Grand Isle Club Has Large Solar/Gas Heated Pool. Tennis/Pickleball Court. Fitness Rm. Club Has Dining, Dancing, Crafts, Cards, Games & Billiards.